Today I went classico! 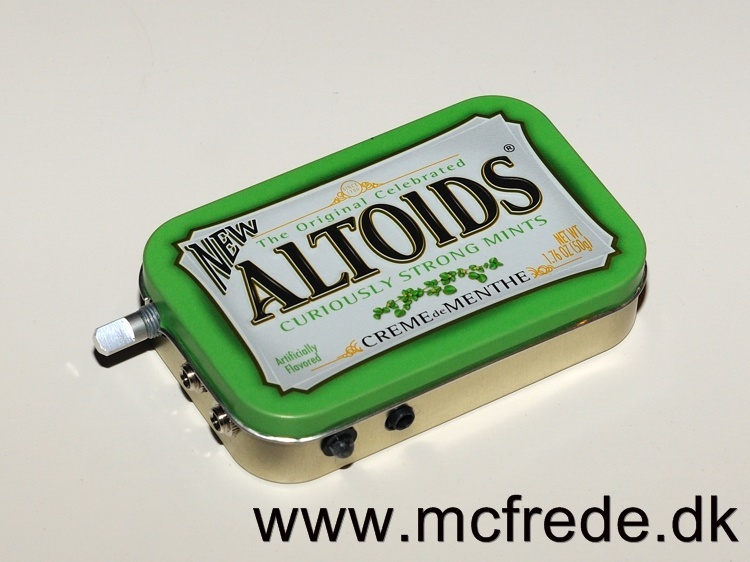 I have actually built myself an Altoids cMoy. The cMoy is perhaps the most hallowed of all headphone amps due to its small price and footprint. 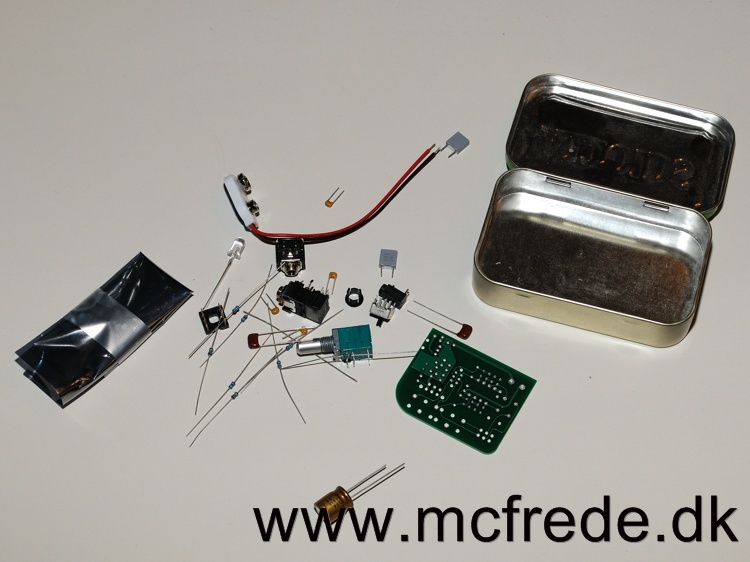 A long time ago some hipsters built their cMoys into old Altoids boxes and a phenomenon was born (hell, the cMoy was even mentioned in the Wikipedia article on Altoids) for a long time. 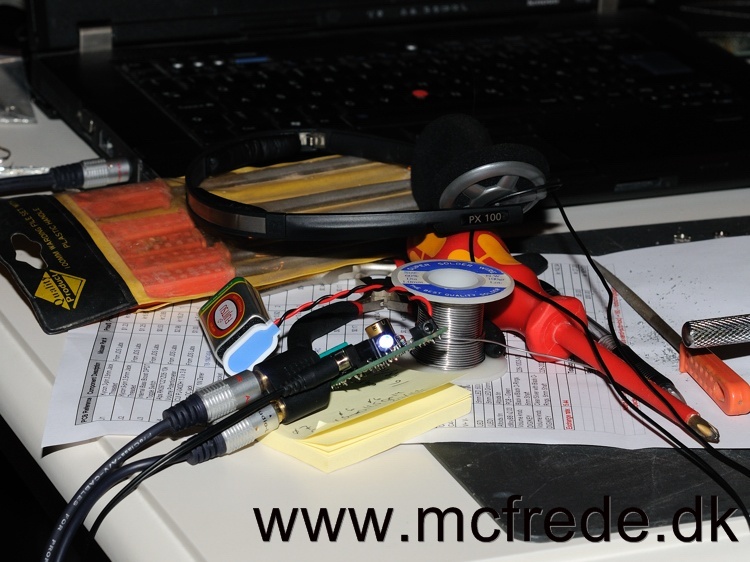 Enough talking, I ordered a PCB ("Print Circuit Board" you primitive screwheads) for the cMoyBB since I read somewhere on the page that "More importantly, the cMoyBB cannot be matched by other cMoys in terms of audio quality". WOOT, that statement alone makes this a must-have item in my book! Oh, and also it has an "Exclusive Bass Boost Switch", niceness for some, but personally I do not like too much bass drowning my music, but nevertheless, since it is "exclusive" it becomes a musthave! Start by spreading everything all over the table, just like I did. This helps give you a better overview. Next thing, sort it out and make sure it is all there. 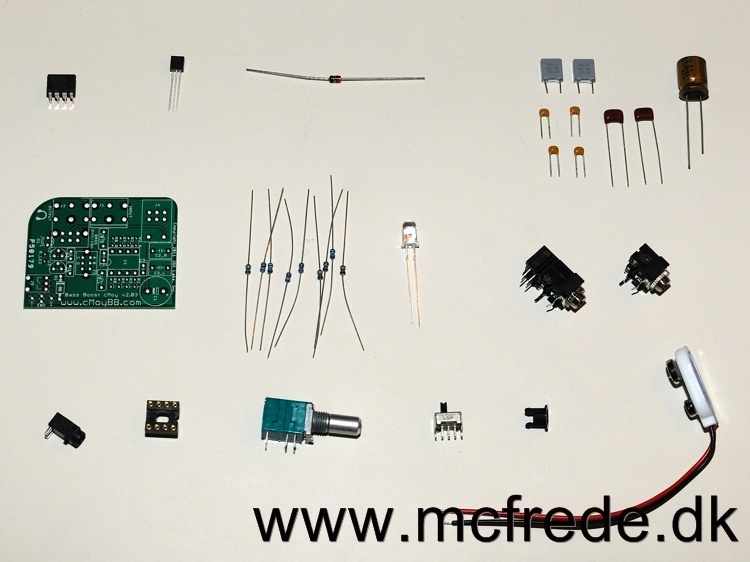 (some might notice that I got one capacitor too much, but nevermind). 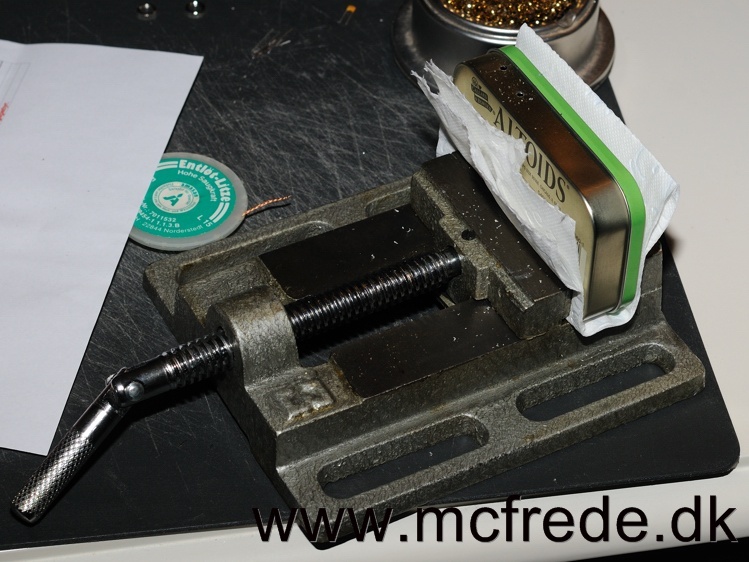 NEXT: START SOLDERING (yup, that IS a link to a step-by-step soldering guide, it is neat, so go there and enjoy the stopmotion-like experience! After soldering, go ahead and test that latest contraption of yours with something not too expensive as a poorly done job might ruin either sound source or headphones. 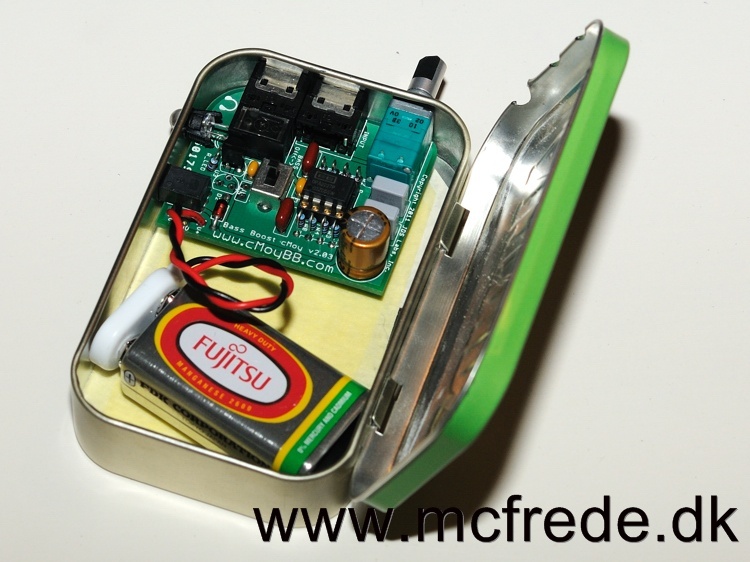 In case everything sounds OK, go on and drill some holes in your Altoids tin. Now try to squeeze everything in, hopefully it will fit nicely in there. Close the lid and you are ready to go!